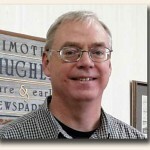 Each month the staff of Timothy Hughes Rare & Early Newspapers  sends out a newsletter to our members  which includes special offers, discounts, alerts to new inventory, and information related to the rare newspaper collectible. Welcome to the September edition of our member’s newsletter. Below please find a handful of links to a free issue from 1865, a new set of issues priced at 50% off, and a few other goodies. Please enjoy. Free Issue  (regular price is $54) – We are offering a free issue (pay only the S&H) of the September 2, 1865 edition of Harper’s Weekly. This issue includes a variety of prints related to immigration (castle Garden, New York), cannibalism in Haiti, investing on Wall Street, the Housatonic Railroad disaster near Bridgeport Connecticut, and a portraits of multiple Civil War officers. The issue will be in average condition (not 2nd-rate), and includes additional prints not described. The issue may be viewed/purchased at: Harper’s Weekly, September 2, 1865 . Note: This issue is only available through the provided link. Approximately 10 are available. Please, only 1 per collector. *Discounted Newspapers  – Nearly 250 newspapers have been reduced in price by 50% (through October 15th) and may be viewed at: Discounted Newspapers . The prices shown already reflect the discount. Some of the noteworthy content/issues include: Babe Ruth sets home run record, the Winecoff Hotel disaster, Orville Wright’s death, Bobby Jones wins Gram Slam, 1st robbery of the James Gang, Ethan Allen, General Greene (Rev War), and more. Note: If a favorite movie ad or actor/actress is not shown, feel free to ask. We’ll be happy to check to see if we have a corresponding issue. * Regarding our discounted issues… Why the extreme discount? Having over 15,000 items posted on the Rare & Early Newspapers website, with most links showing the most recently listed items first, there are undoubtedly a host of great items which simply become overlooked. These selected discounts enable us to bring a handful of these to light while benefiting our members.